NEW YORK, March 27, 2019 /PRNewswire/ -- The food & beverages industry has been witnessing an increasing reception of food hydrocolloids on the account of their innumerable practical properties. The growing consumer traction for ready-to-eat food is a key driver behind the upsurge in the demand for hydrocolloids. 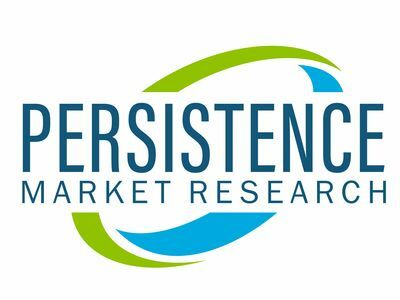 According to the Persistence Market Research (PMR) report on food hydrocolloids market, the global market for food hydrocolloids is projected to increment at a steady 3.6% CAGR during the forecast period 2017 to 2025. With this CAGR the food hydrocolloids market is prophesized to record US$7,634.0MN revenue valuation by 2025-end. The proliferating number of individual as well as expert duties are expected to make customer progression highly unpredictable in the forthcoming years. The PMR report on food hydrocolloids market opines that this growing unpredictability is likely to affect dietary patterns also, wherein the traction for highly convenient and ready-to-eat suppers will further increment. According to the PMR report, the food industry has been witnessing a surge in demand for food hydrocolloids, which can be accredited to its myriad functional properties. The rising adoption of ready-to-eat food is a key factor that is positively influencing the food hydrocolloids market, as deadline-driven fast paced life brimming with commitments does not leave adequate time for cooking regularly. Such trends are in turn expected to trigger demand for ingredients used in food products such as food hydrocolloids. To capitalize on the altering preferences, food hydrocolloids' manufacturers are increasingly focusing on expanding their creation ability to better cater to the growing demand for hydrocolloids across the globe. Among the various application segments for food hydrocolloids market, such as bakery and confectionery, sauces & dressings, meat & poultry, beverages, dairy products, and others, food hydrocolloids are likely to witness highest adoption in bakery and confectionery space. As per the PMR report on food hydrocolloids market, this specific segment is envisaged to register leading 4.8% CAGR, which will be trailed by meat and poultry application segment with 3.6% CAGR during the foreseeable period. The study opines that food hydrocolloids sourced from plants will dominate the market on the back of shifting consumer preference and manufacturers' growing focus on clean label ingredients, such as food hydrocolloids. Further, food hydrocolloids market is likely to expand owing to its growing adoption as a thickener, according to the food hydrocolloids market report. According to PMR report on food hydrocolloids market North America is the most lucrative region for market growth with regional market of North America likely to accelerate at 4% CAGR during the foreseeable period. With such a rapid progress, the region is envisaged to gain hefty vis-à-vis revenue by 2025-end. This region will be trailed by Asia Pacific, which the PMR study projects is likely to witness significant growth owing to the augmented concentration of product manufacturers in its developing countries. As per the study, the burgeoning working class population in Asia-Pacific, which is rapidly gravitating towards convenience foods to match their eventful lifestyle is fueling demand for functional food ingredients, thereby, benefiting the food hydrocolloids market.